This is the first United Kingdom edition of The Dark Wind. This edition was published in 1983 by Victor Gollancz in London, England. 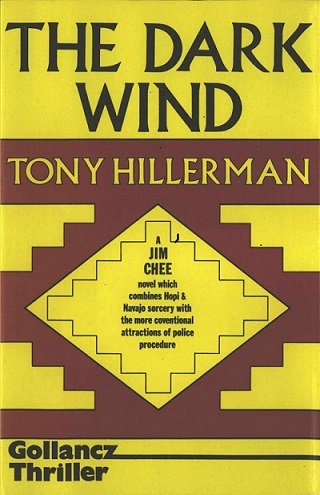 This is the fifth book in Hillerman's Navajo Mystery Series, The Dark Wind is the second novel featuring the protagonist Sergeant Jim Chee of the Navajo Tribal Police. Format: Hardback, 20.5 x 13 cm. Binding: Red boards with title, author, and publisher printed horizontally on the spine in gold.